And here the photos I took on a lovely sunny day as the Waxeyes (Maori name: Tauhou) worked their way amongst the brushes on the Bottle Brush bush, supping on nectar. They are skittish, tiny birds but very pretty and very welcome in the garden. Thank goodness for the kitchen window! This entry was posted in Uncategorized and tagged birds, Bottle brush bush, garden, native birds, nectar feeders, New Zealand birds, photography, shrubs, Silvereyes, Tom thumb bottle brush bush, Touhou, waxeyes on September 28, 2014 by ordinarygood. Recently we spent some time up on the Kapiti Coast. 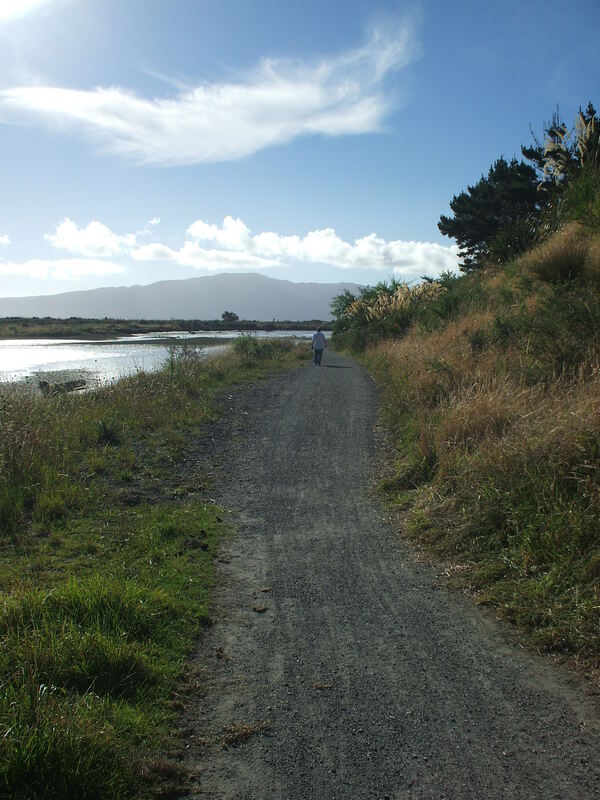 The weather was perfect and once the heat began to ebb from the day we went to explore the walk along the Waikanae river that is accessed from the Otaihanga Domain. When we had young children and when my mother lived near this spot we spent many happy times there. The Domain is a very large flat grassy area which is perfect for ball games and for children running and playing. It is circled by many leafy trees such Weeping Willows which provide shade and opportunities to climb. It also has the benefit of being a more sheltered spot from our trade mark winds. Many people picnic there. And I see from the link to Otaihanga Domain that there is now a very impressive children’s playground. 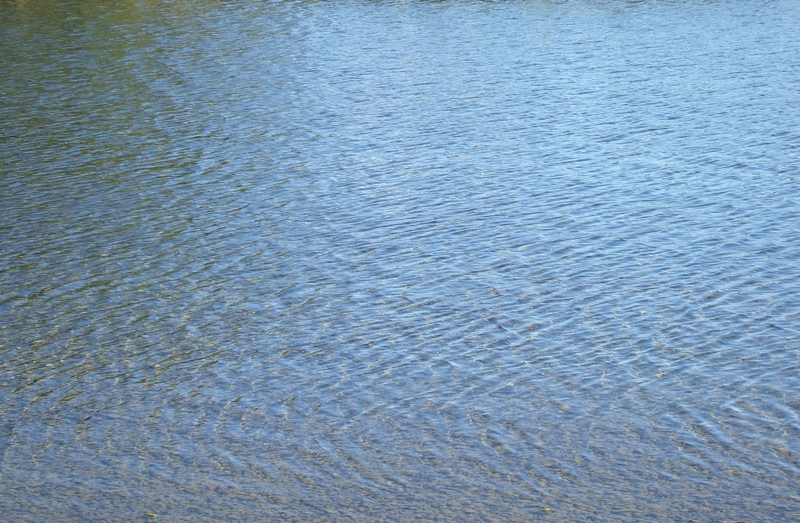 The river forms the boundary on one side of the Domain and allows for paddling and dabbling and swimming if there is enough water in the river. Across a suspension bridge is a path to the left which leads to the beach or other branches which can lead to places we have yet to explore. To the beach. Kapiti Island in the distance. 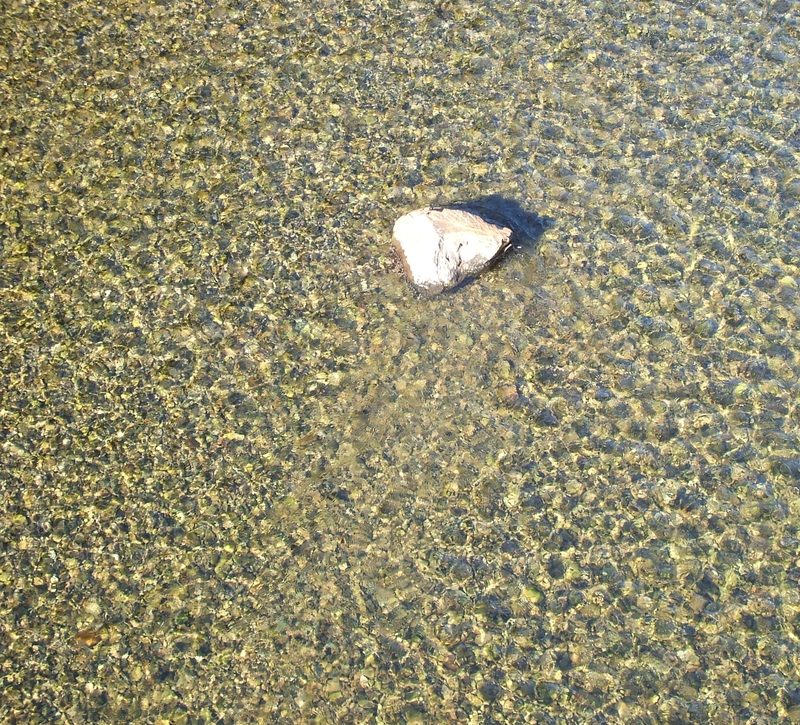 My eye was drawn to the light on the water as we crossed over the bridge. And then as we moved down the river pathway. 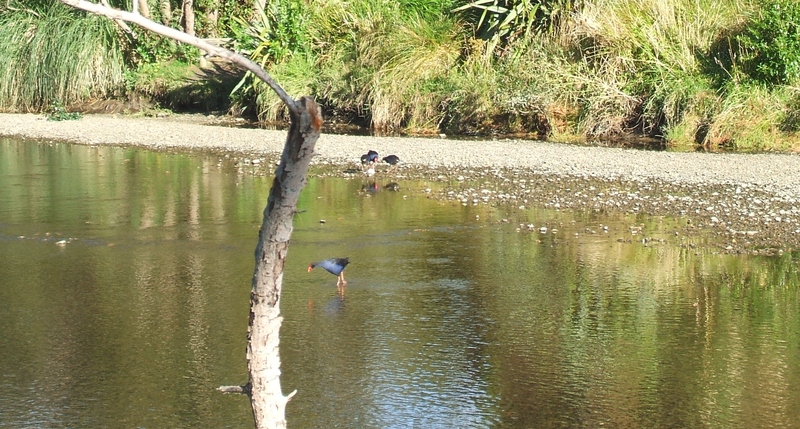 A Pukeko family were drawn to the water to dabble casting their own effects on the water and the light playing on it. I felt freed from the many pressing challenges that have been part of my daily life for a long time as I watched the light and its interplay with the water. It is impossible to know what the exact dynamics were but that added to the mystery which attracts. And if it was the water playing with the light or the light playing with the water it did not matter in the least as the flow of both was so soothing and relaxing. This quote from artist James Turrell, that popped into my email inbox minutes before I began to write this post, has added an even more interesting dynamic for me to reflect on deeply. This entry was posted in Uncategorized and tagged consciousness, James Turrell, Kapiti Coast, light, native birds, nature, Otaihanga, Otaihanga domain, photography, pukekos, relaxation, Waikanae River, walking, water, young children on February 27, 2014 by ordinarygood. 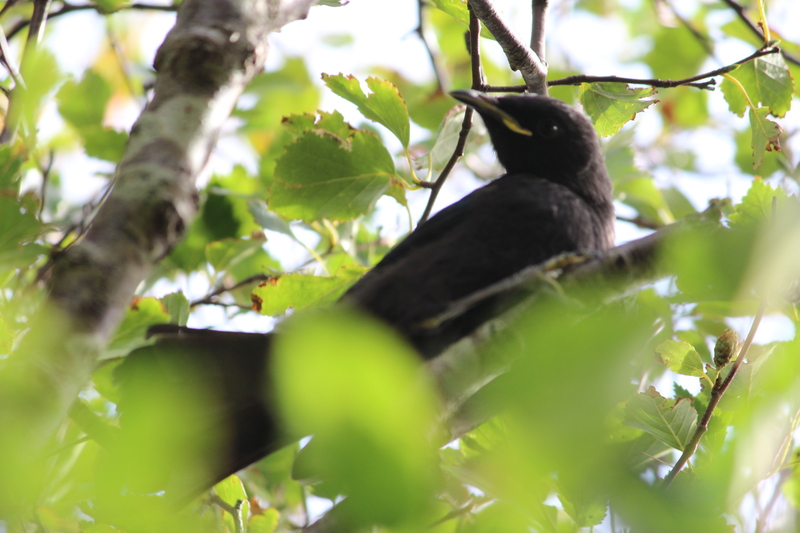 With the breeding season behind them now the birds are becoming more visible and their songs more audible. Yesterday I could hear the beautiful song of the Riroriro or Grey Warbler and as I sat looking at the Tall Trees section of the garden I could see a tiny bird flitting amongst the branches. 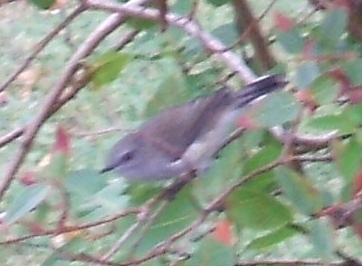 Grey Warblers only eat insects so it was hunting time for small insects to be found in the trees. I went out into the garden with the camera in the hope of getting a clearer photo than this attempt last year in March. 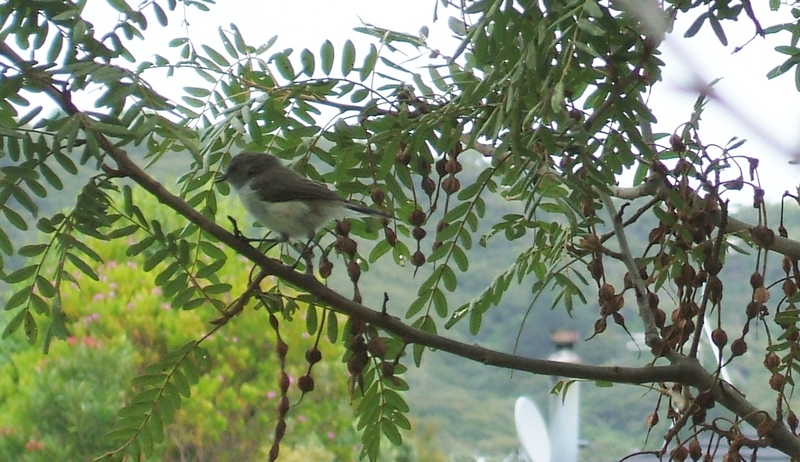 I was fortunate to find the little warbler on the aged kowhai tree on the reserve. 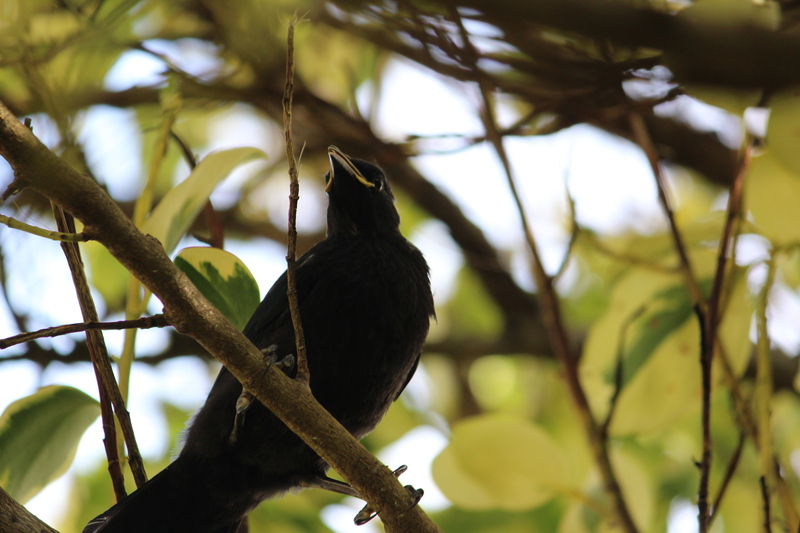 The remarkable feature I saw and heard was this male bird singing its heart out, all while grazing for food. 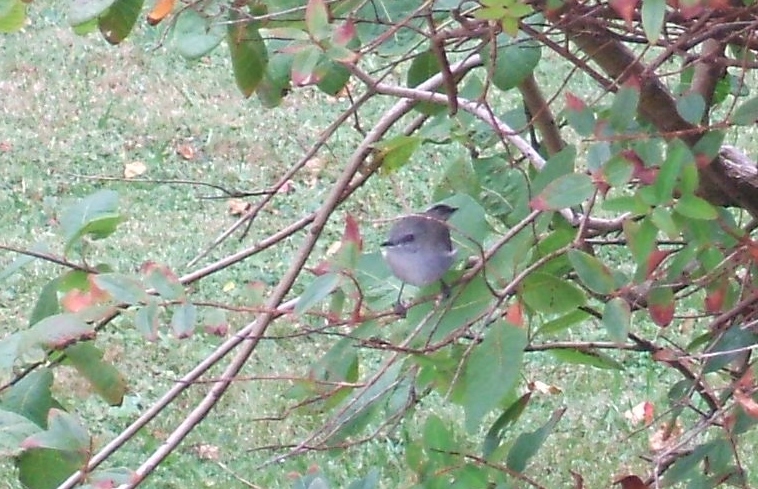 It is stunning to watch such a little beak cleverly move along leaves and branches while also creating beautiful music. It was a but a brief moment or two before the wee bird flew across the road to a large bottle brush tree for more fine pickings and to serenade the neighbours. This entry was posted in Uncategorized and tagged Beauty, birds, birdsong, Grey Warbler, Kowhai trees, native birds, nature, New Zealand native birds, photography, Riroriro, Shining Cuckoo, singing, trees on February 26, 2014 by ordinarygood. 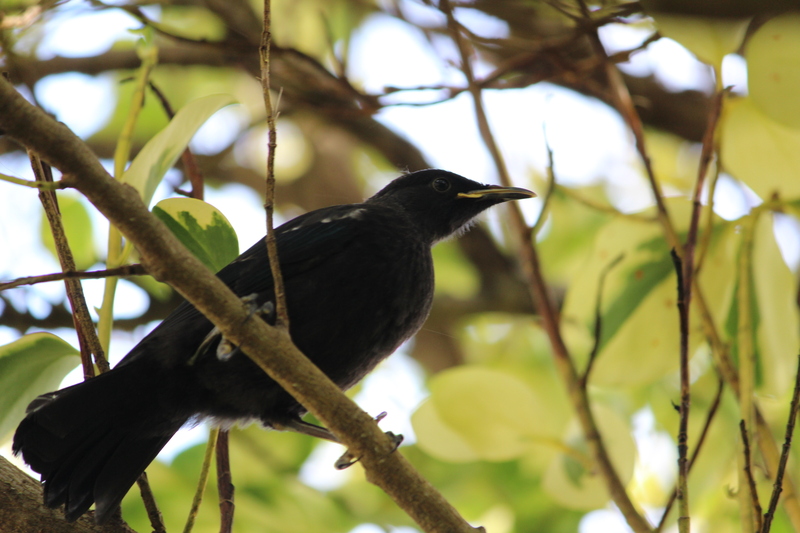 After further observation since Friday I could see that the two Tui fledglings were spending a lot of time in the Mahoe tree in our garden. I had seen the parent/s return to feed their young and when the gales subsided there were times when I could hear the now familiar squeaking calls. No matter how much I tried the little point and shoot camera, with its limited zoom lens, was not going to capture these two young birds at such a special time in their lives. I have no idea how long the “twins” will remain dependent on the parent birds so I figured a call to action was needed today. The weather is foul with driving drizzle swirling on the back of a very gusty southerly wind. 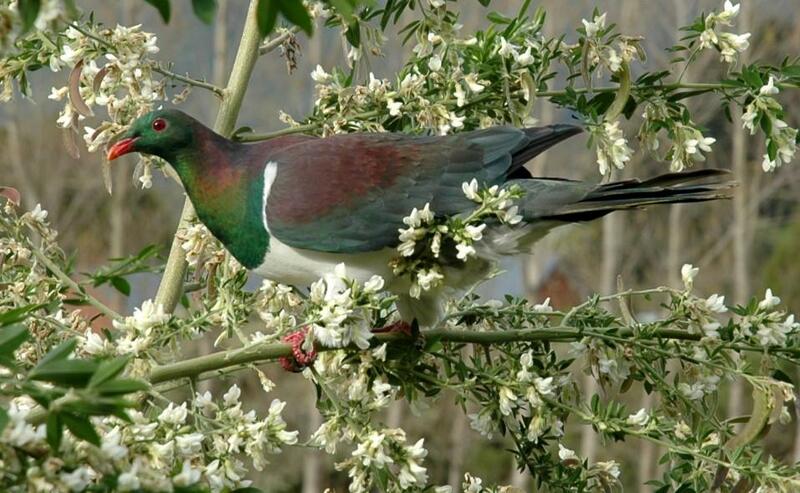 The fledglings are wise and shelter within the Mahoe, sometimes together and sometimes a branch or two away from each other. My son has a swish Canon camera with a stronger zoom lens and he was happy to pop over late this afternoon and brave the elements in an effort to take some photos for me. The light was awful due to the low cloud and drizzle and to make matters worse the sun was breaking through at the perfect angle to spoil shots. The incessant, gusting wind of up to 50kms at times meant trees thrashing about and the little birds being blown about very vigorously at times. And the birds were particularly active. But here are some of the results. The parent bird returned at one point and the fledglings flew into a birch tree calling demandingly. Here they are hoping the parent will return to them with food while the storm buffets them with some ferocity. We decided to return inside and allow the family to regroup without our attentions. 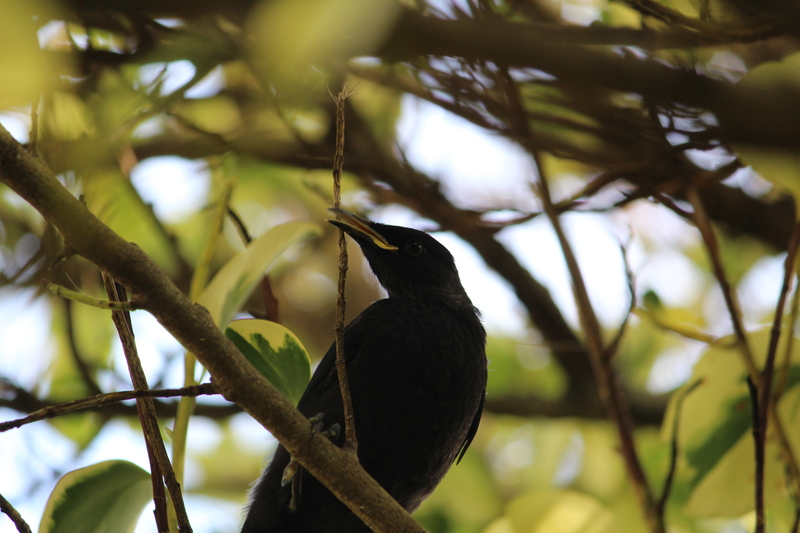 This entry was posted in Uncategorized and tagged birds, Canon camera, Mahoe tree, native birds, nature, New Zealand Tuis, newly fledged tui chicks, parent birds, photography, Tuis, weather on February 9, 2014 by ordinarygood. The lyrics of this well-known song date back to the 1940s for the film adaptation of “Pinocchio” and begin……. By Ned Washington, Leigh Harline. 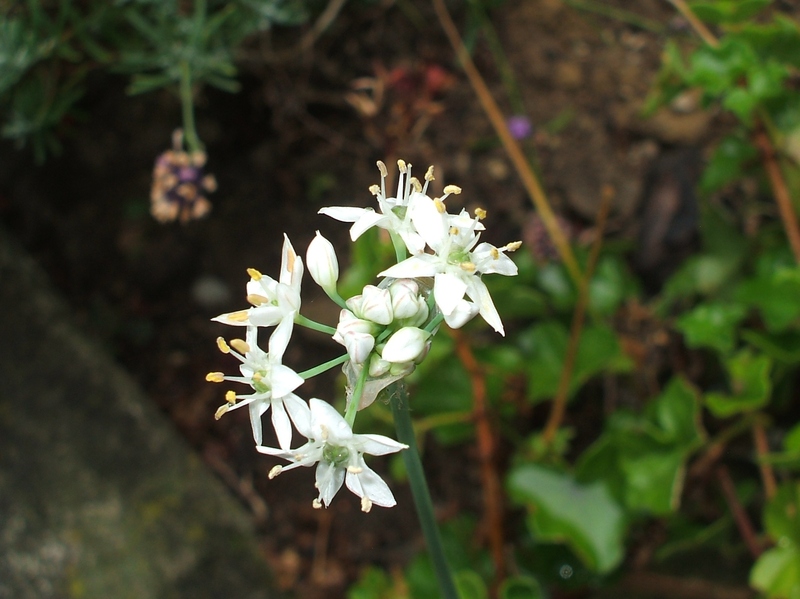 Here are the emerging, delicate white star flowers on the garlic chives. They look good enough to make a wish on. 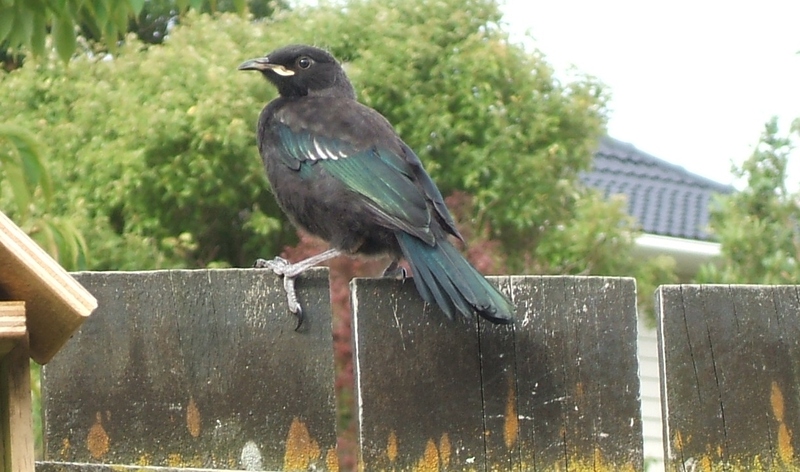 My wishes for more native birds appearing in my garden have continued to come true this week. 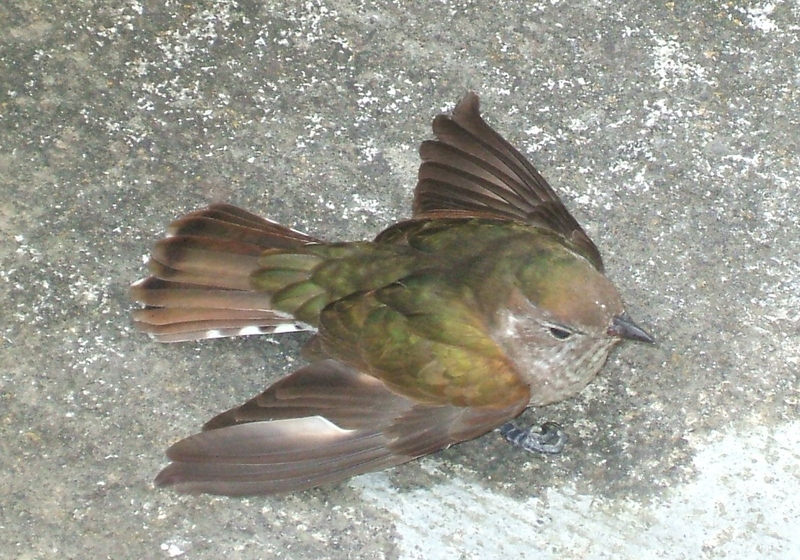 Another slight thud on a window heralded the sight of another (or the same) Shining Cuckoo that I blogged about here. This time the wee bird was ready to fly away very quickly. These Cuckoos migrate in autumn to various Pacific Islands such as New Caledonia and the Solomon’s. The navigation skills they possess to achieve that journey are impressive. Their ability to avoid window panes in New Zealand is not so good. Earlier today I heard a bird noise that sounded foreign to me. It was a high pitched squeaking sound that was rather persistent. 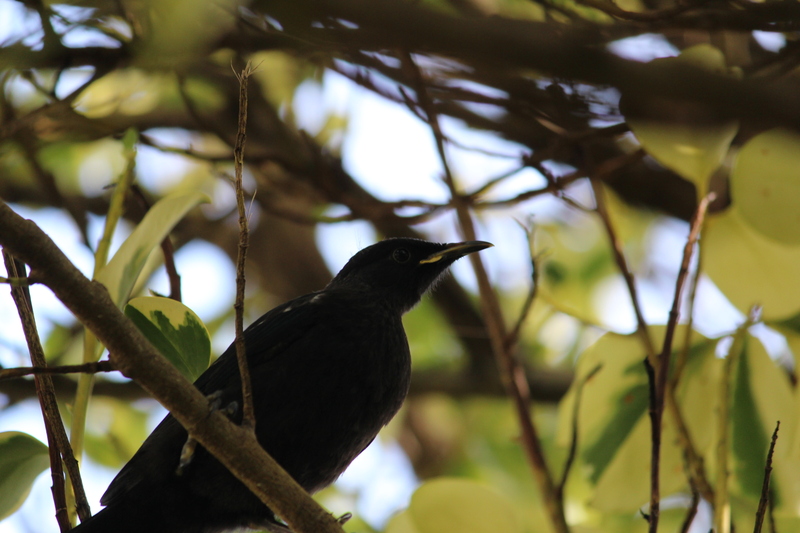 Then late this afternoon the sound was much closer and I discovered a mature Tui and its very newly fledged youngster in the Tulip Magnolia near the sugar water feeder. By the time I came outside with the camera the birds had flown. 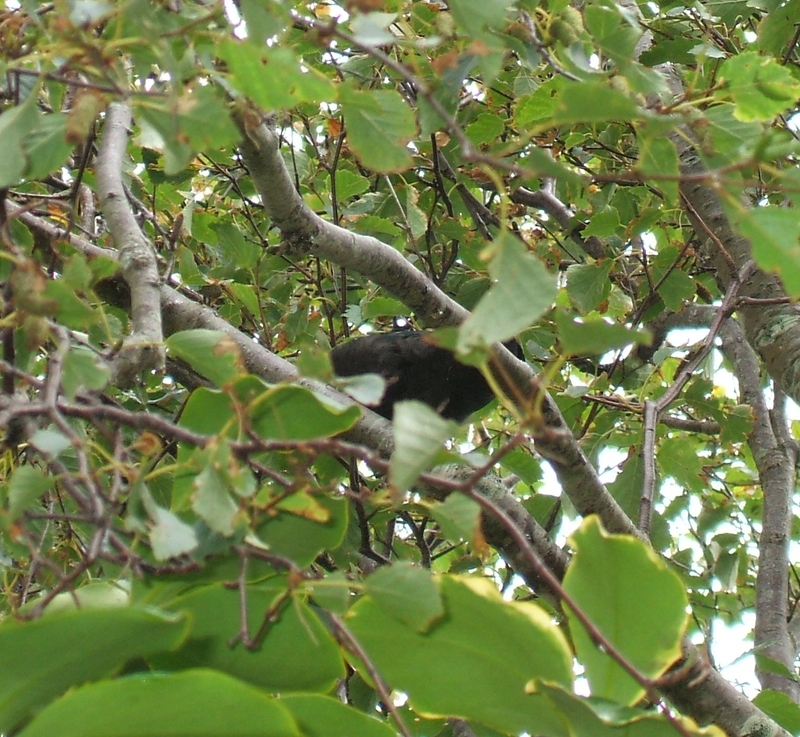 However the insistent squeaking noise was not far away and I found the fledgling again in the Mahoe tree in the tall tree area of our garden. 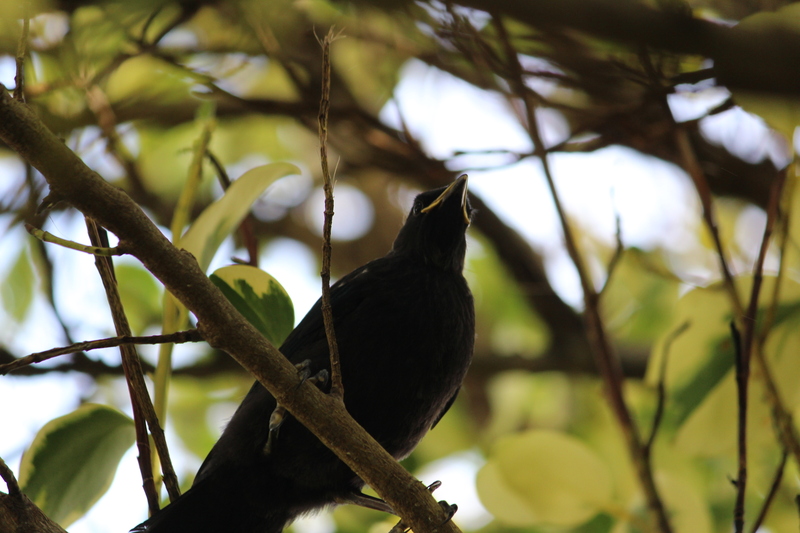 It is a splash of light near the throat of this young bird not its wattles. The parent bird flew off as I crept closer but my eye was caught by another fledgling bumbling about in the variegated Griselinia. 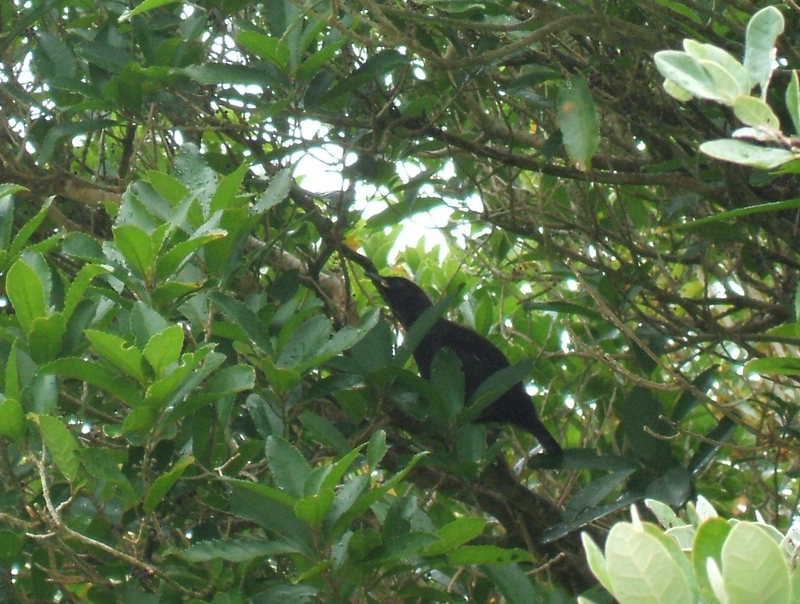 It would seem that the adult birds have bought their twins to my garden to feast on the Mahoe berries and with the sugar feeder not far away. Or better still they have nested here and raised these young. It is almost impossible to gain clear images as the wee birds wisely remain amongst the thick foliage up high in the trees. Neither of these fledglings have wattles and their yellow edged beaks were still visible to my eye as they moved about the branches. Their agility has yet to develop and some of their feathers had a downy look still. They are very newly out of the nest. 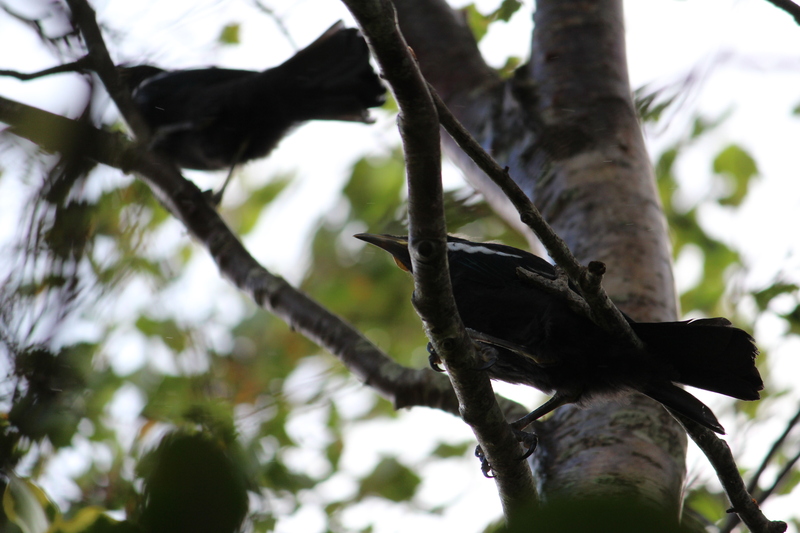 And in further exciting bird news please link here to Toya’s blog where she has posted about her amazing successes at Zealandia over the past two days. Her photos of the Stitchbirds and today the Eastern Rosella feeding its four hungry babies are simply stunning and very informative and special. This entry was posted in Uncategorized and tagged "When you wish upon a star", Eastern Rosella, garden, Garlic chives, Grisilenia, Mahoe, native birds, native trees, nature, Ned Washington, photography, Shining Cuckoo, songs, Stitchbirds, Toya Heatley, Tui fledglings, Zealandia on February 7, 2014 by ordinarygood. 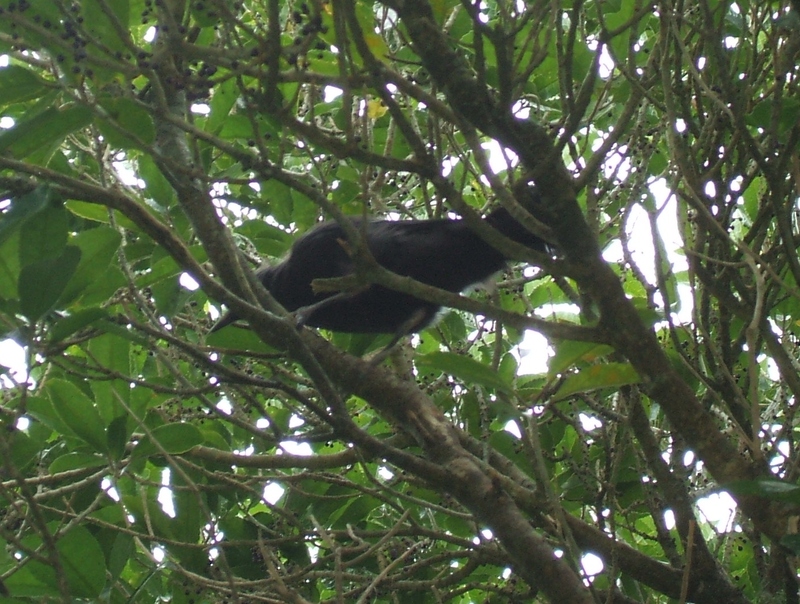 Here is a link to a website for counting Keruru. Look at this stunning photo that someone snapped! This entry was posted in Uncategorized and tagged birds, ecology, environmental sustainability, Keruru, native birds, nature, New Zealand Wood pigeons, photography on February 22, 2013 by ordinarygood.